whats the big deal with gluten? Watch this great interview for a more ‘in-depth’ discussion around gluten, leaky gut, immunity & general gut health. Should we go Gluten Free ? 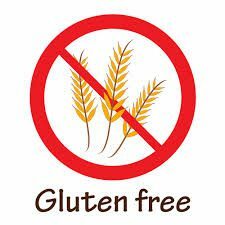 If you have no health issues or no known problems with gluten, you might be sick of seeing ‘Gluten Free’ plastered all over everything in supermarkets, restaurant menus, health stores, pharmacies, online – even on products with no link to grains! (I walked into a small-town, second-hand furniture store with a large sign proclaiming ‘Gluten Free Furniture’) a few weeks back – this was obviously tongue-in-cheek, but the point is that GF is a pretty hot label to have on your product at the moment from a marketing perspective! So is it a fad? Or should you actually be avoiding gluten too? Most of us have a vague understanding that it’s really bad for coeliacs & kinda bad for some other sensitive folks, & that health freaks tend to buy GF products…but what about the rest of the population? The simple explanation is that Gluten is detrimental to your gut integrity (yep it causes a degree of ‘leaky gut’ in everyone), but only some people get obvious symptoms, & some of us can just handle it better than others – due to things like our general diet, stress levels, our gut bacterial balance, our immune function, our genetic makeup & susceptibilities, & our overall health & vitality. Our ability to ‘handle’ gluten is really our ability to quickly & continuously heal that leaky gut after repeated gluten exposure & avoid the immune / inflammatory consequences of having uninvited ‘big food bits’ getting into our bloodstream which aren’t supposed to fit through the semi-permeable gut barrier. We all have different tolerance levels, but it’s really common to hear ‘I used to be fine with gluten but I just don’t feel good now when I have it’ or ‘I feel heaps better now I’m GF’ or ‘I can tell that there was gluten in that meal because of how I feel’….it’s just more common nowadays for people to experiment with eating GF, so there’s much more awareness of the effects on individuals. What about 50 years ago? Everyone ate bread, biscuits, cake & pasta & nobody complained or got sick? 50 years ago we – as a population – had much better gut bacteria…due to less chemical exposure, less medication, less sugar & less refined / processed foods. Each generation of babies get the good bug population from their mum at birth & then from her breast milk. That’s if they’re lucky enough to have had a natural vaginal birth & been successfully breastfed for a good period of time…& if their mum had a decent population to pass down anyway…all getting increasingly rare. Then throw in to the picture that they’re popped into daycare at 2yrs of age (or earlier), where their immature immune systems encounter stacks of infections & then the too-easily prescribed antibiotics given to halt them quickly (so they can get back to daycare & mum can get back to work). No wonder our kids are all allergic to things, get sick all the time & have such increased rates of behavioural disturbances – their gut function (& therefore immune system) has been completely obliterated, leaving them unable to deal with the things – like gluten – that our grandparents (& their bacteria) could handle easily! 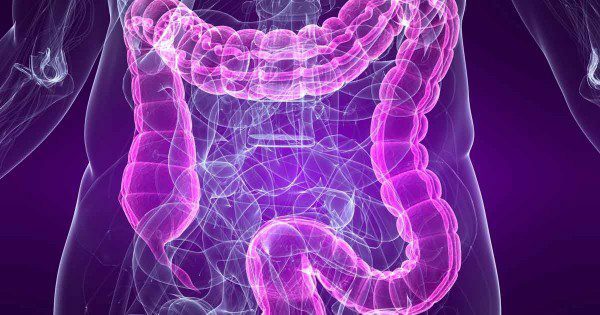 We need to rebuild robust gut-health ASAP…or imagine the problems we’ll pass down to the next generations! 1) Avoid antibiotics (& other medications) unless absolutely necessary. 9 times out of 10, they’ll do more harm than good. Most prescriptions are given for colds & flus, which are usually viral, so the drugs are useless & will achieve nothing but weakening the gut / mucosal immunity & leaving the host much more open to the next bug that goes around! There are stacks of alternatives, if your doc still hands out antibiotics like lollies, get a new one. 2) Eat more bacteria. Sauerkrout (must be raw), kimchi, kombucha, kefir, yoghurt, probiotic yoghurt & capsules…if these are not readily available in your area, then learn how to make some yourself (you could make in bulk & turn it into a thriving business if no-one is doing it yet in your town…& you’ll get everyone healthy)! 3) Eat plenty of soluble fibre & resistant starch. Feed your good guys – you look after them, they’ll look after you. Include seeds, legumes (esp lentils) wholegrains (not the ones with gluten though – wheat, rye & barley), garlic, onions, leek, Jerusalem artichokes, asparagus, cooked then cooled potatoes & rice (or potato starch), green bananas…all these are great fodda for your little internal bacteria ‘farm’! 4) Get over the germs & get dirty! Let the kids play in the mud! If it falls on the floor it won’t kill you to eat it, you don’t need to scrub / soap / sanitise / disinfect every surface of yourself & your home…if you’ve got some good organic veggies I’d even suggest you aren’t all that careful with washing them – bacteria from healthy soil are gonna be the next big thing in the probiotic world (along with bacteria from other healthy people’s poo)! ****We’ve evolved with bacteria – we are in fact mostly made of bacteria. The word ‘Antibacterial’ doesn’t sound so comforting when you consider that! 5) Incorporate some soothing, anti-inflammatory & gut-healing foods & supplements into your diet. Slippery elm, caprylic acid, aloe vera (only the pure inner-leaf), bone broth, l-glutamine, licorice (the herb, not the lolly), chamomile, ginger, peppermint, turmeric, flaxseeds…or just ask for the best ready-made gut formula at your local health store / pharmacy. This entry was posted in General Health, Gut Health. Bookmark the permalink.